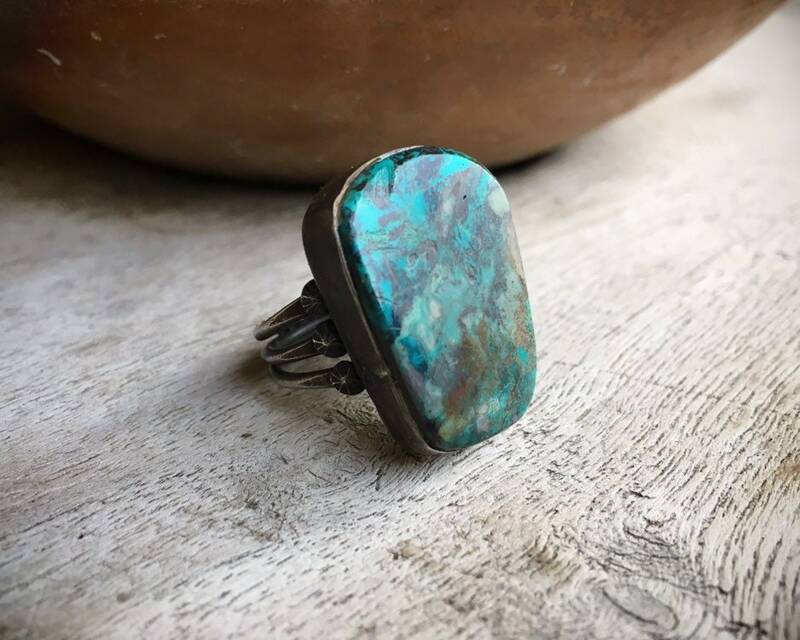 This chunky ring, like many in my shop, is stand out for the beautiful color of the stone, which in this case is the cyan-colored copper phyllosilicate mineral Chrysocolla. 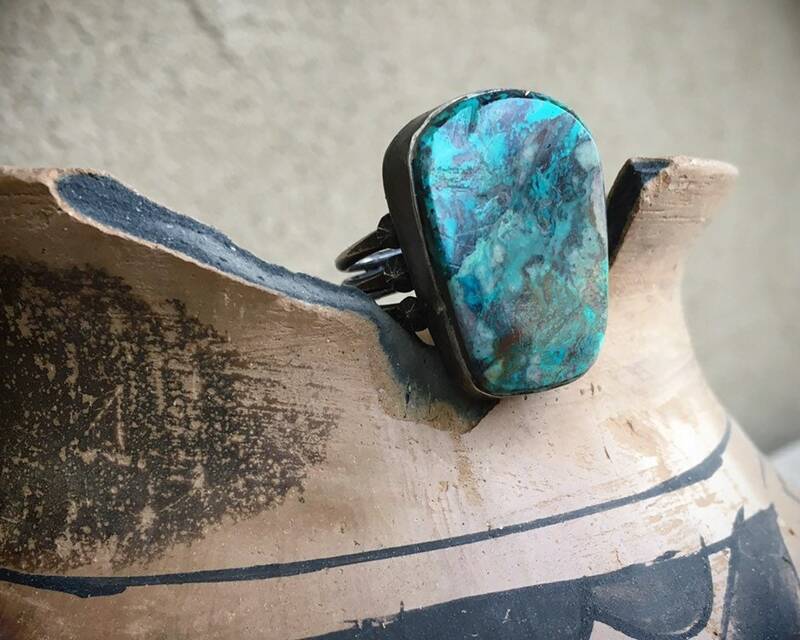 Chrysocolla has been used for jewelry since ancient times due to the vivid blue-green color. 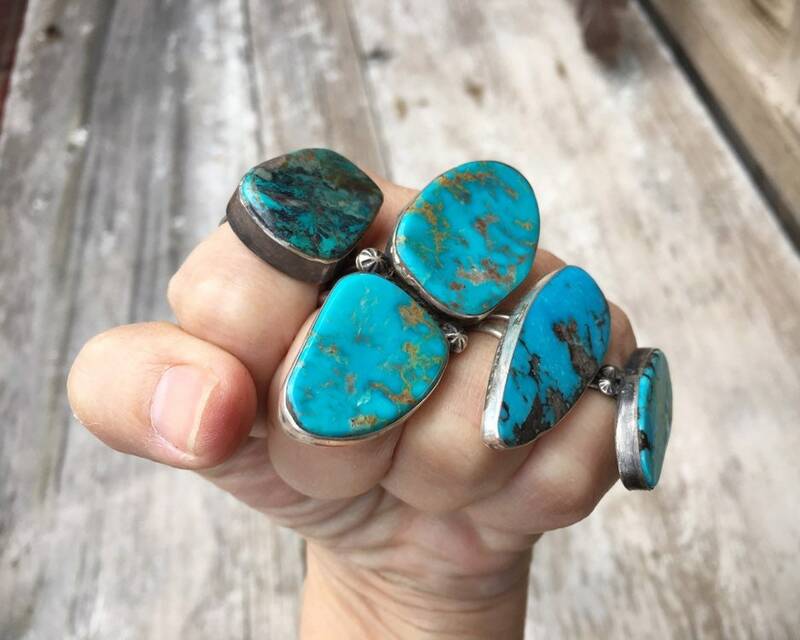 This stone comes from the mine in Bisbee, Arizona. 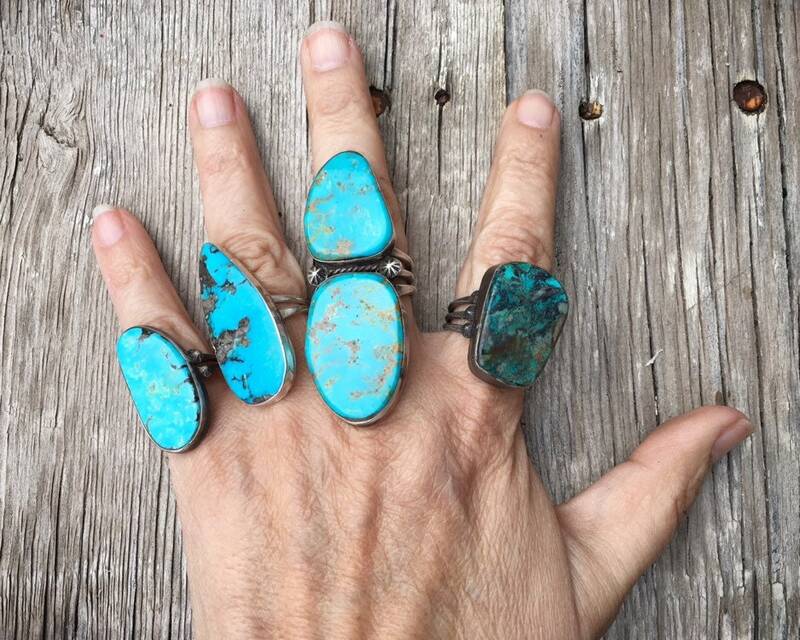 It's not uncommon to find Native American jewelry made with chrysocolla instead of turquoise, as the two stones are similar in terms of hardness and ease of shaping. 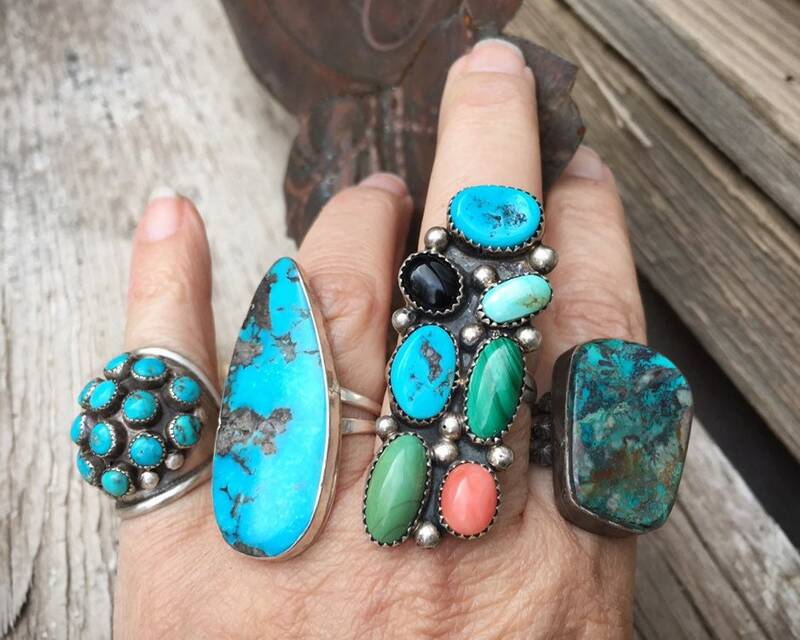 Plus, that cyan--mix of blue and green--color appeals to many of those who love the color turquoise. 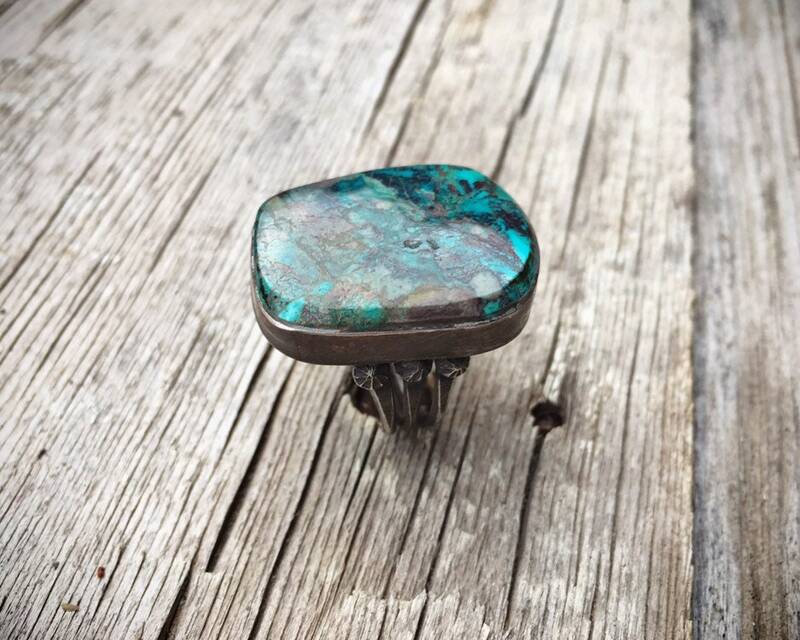 Chrysocolla is said to be a "stone of peacefulness, said to alleviate fear, guilt and nervous tension. It is thought to crystallize feelings of love, acceptance and tolerance. 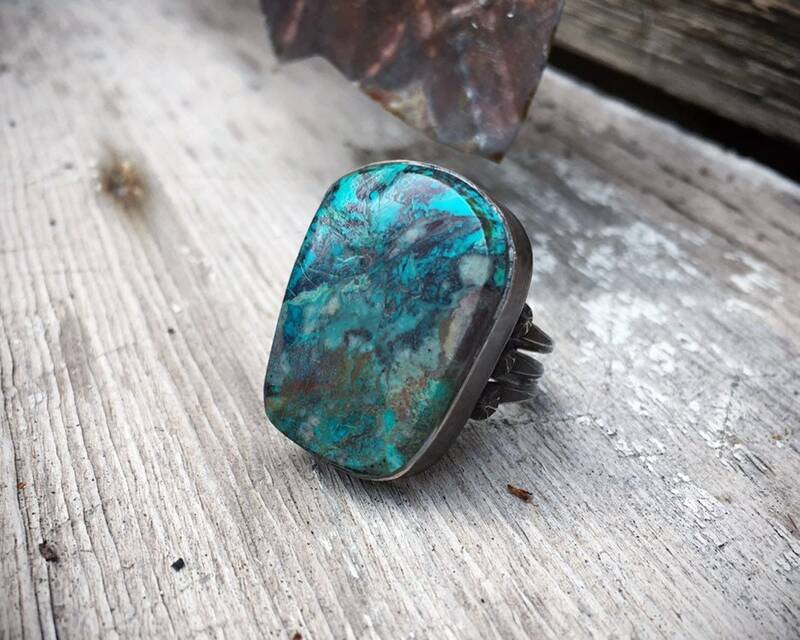 Chrysocolla is a considered a stone of Cancer and associated with the element of Water. It is very cleansing and it absorbs negativity. It can help flush and heal heart blocks, primarily working best Heart Chakra, although it can revitalize all of the chakra’s." Native Americans use chyrsocolla for carving fetishes and in jewelry-making. 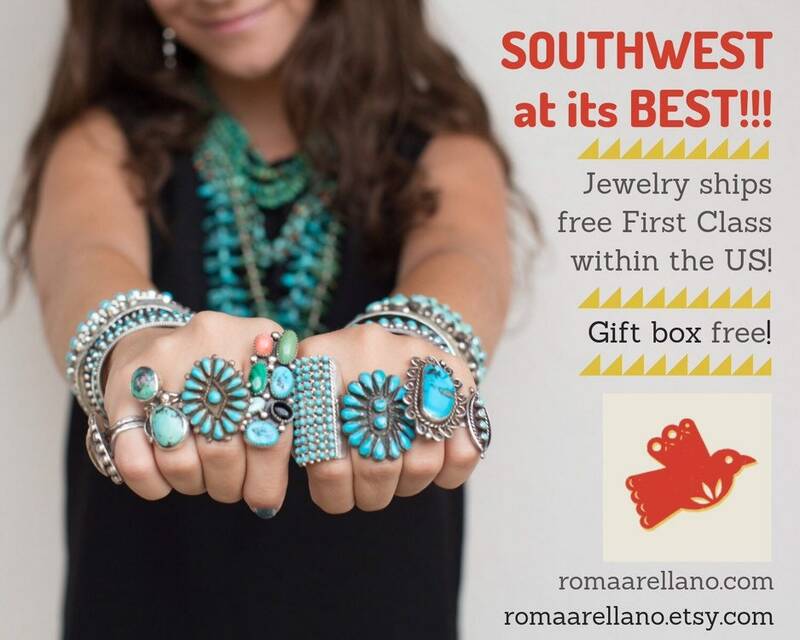 Since this ring carries no hallmark we cannot say for sure that it is Native American; hence, we call it Southwestern. 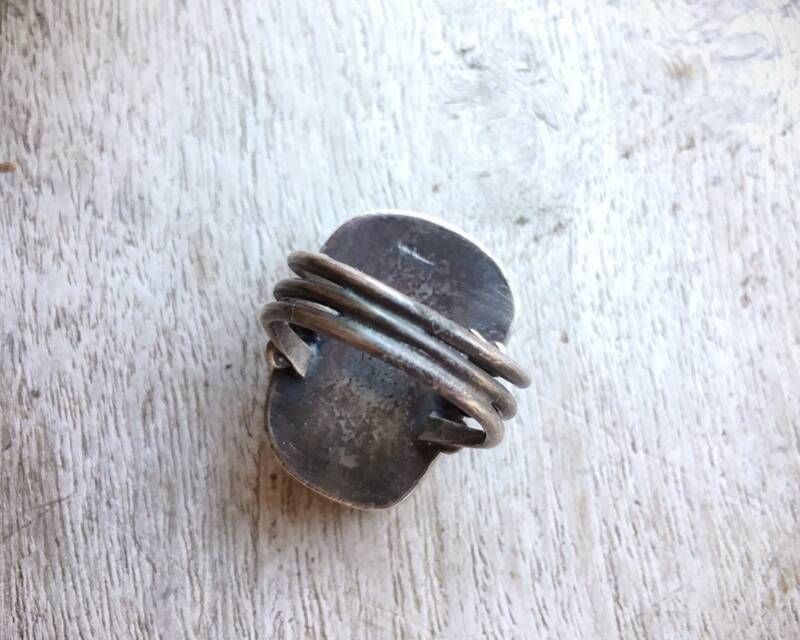 The ring face is 1" tall by 3/4" wide. 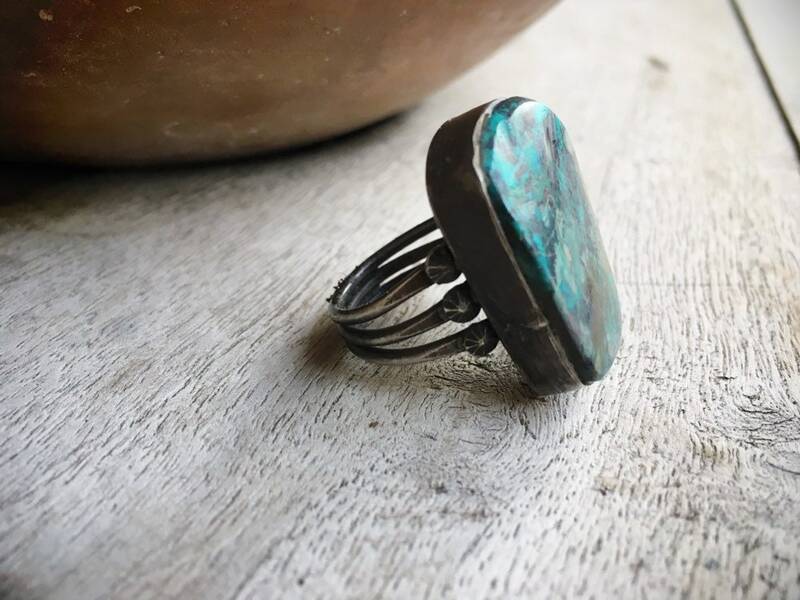 It is a Size 8.5 yet is such a great unisex ring that if you want it resized we can do so for $25 extra. Just let us know. Sits on a double shank. What a great ring, even better than I expected!